2009 : Freaksville Record : Phantom featuring Lio : guitar session. Performing guitars for Phantom feat. Lio's album. Released on Freaksville Records, 2009. 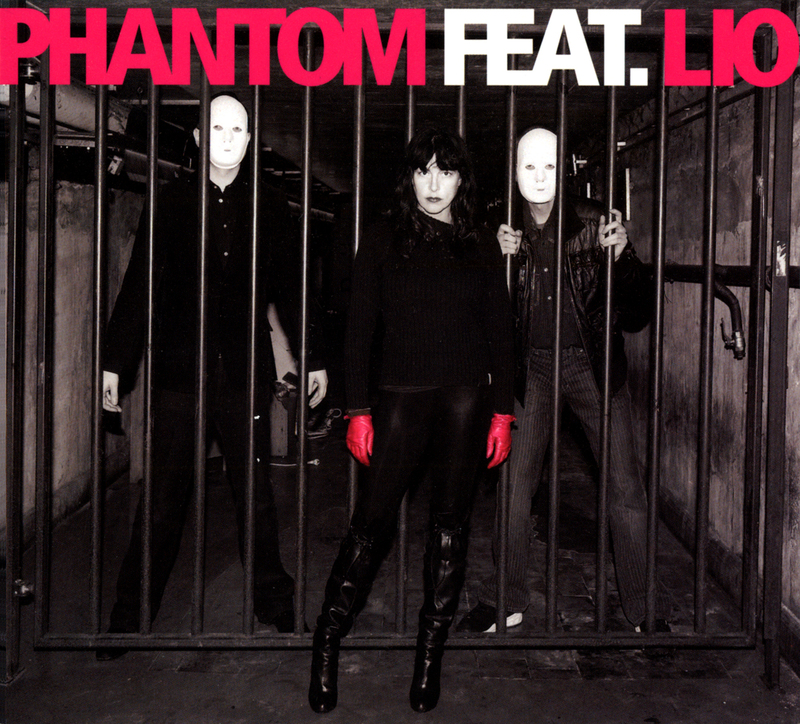 Belgian garage band Phantom invites french pop icon Lio for a rumble ! At the tender age of sixteen Lio conquered all european charts with "Banana Split", a million seller in 1980. The joyfull Spector-goes-electro track hit number one in Belgium, France and Italy. An English version penned by Ron and Russell Mael (Sparks) did well in Britain too. Since then Lio has enjoyed numerous other successes in both music and cinema. Now she returns to the land where it all began for her and to the music of her heart, unashamed pure rock'n'roll. Completed in three days, the album is driven by the energetic sounds of Liège based combo Phantom. Imagine Debbie Harry backed by the Ramones and you'll have a fair picture of what's going on here. Produced By Miam Monster Miam, written by Miam Monster Miam/Jacques Duvall/cult french writer Patrick Eudeline and mixed by Gilles Martin (Minimal compact, Front 242, Deus, Autour de Lucie, Dominique A). and "Noir Violette" written by Marie-Laure Dagoit. and "Ta Grande Gueule Fait des Heures Sup" composed by Dan Lacksman. Recorded by Grumph at Vange studio and Soundstation (Liège, B). Mixed and masterd by Gilles Martin at Farside Studio. Pascal Scalp : bass, organ. Geoffroy Degand : drums, percussions. Marcus Weymaere : drums, percussions. Benjamin Schoos : guitar, harmonica, synthe, Theremin. Philippe Laurent : organ, trumpet. Brian Carney : Jupiter 8. Produced by Miam Monster Miam for 36 Cowboys. Phantom featuring Lio on Discogs. Phantom featuring Lio : more news on my blog. Phantom featuring Lio : my pictures on Flickr.